The Committee met to be briefed by the Department of Water and Sanitation (DWS) on progress with the transformation of the country’s irrigation boards and the development of a national water and sanitation master plan. Before the start of the meeting, there was major concern over the late arrival of documents. The DWS had sent documents needed for the meeting only that morning, and this was making Members uncomfortable, as they had not familiarised themselves with the contents. Officials were warned to do their jobs or punitive measures would have to be introduced. The report on the irrigation boards indicated that the Department had achieved very little transformation in the past 19 years, and Members said they were not happy with the progress. There was concern that the Department did not have sufficient capacity to handle the programme. It was argued that politicians were doing their job, but officials were failing to execute the government’s policies. The report on the water and sanitation master plan was interrupted within a couple of minutes when Members realised this was not the final report on the plan, but rather a report that they had already heard at a previous workshop. Members were very annoyed by this, and enquired about the status of the final report. The Department could not provide a concrete answer, although it said a draft had been completed and would be sent to the Committee the following day. The Committee Chairperson said legislation was needed to enable the Department to implement the plan, and the House had until March to finalise the legislation and master plan. The Chairperson pleaded with Members to arrive on time for meetings. Many Members were late and consequently the meeting had started late. The two items on the agenda were the irrigation boards and an update on the water and sanitation plan. There were developments regarding these two items happening in both the provincial and local spheres of government. For Members to get a sense of what was happening regarding these issues, the water plan needed to be explained. The factors affecting the water plan included major rainfalls, dams that need to be controlled and the overall ownership of water resources. These were the issues that would be dealt with. Mr L Basson (DA) said it was extremely difficult to prepare for a meeting when documents were sent to Members only on the day of the meeting. The House needed to draw the line and sort out this continuous issue. He was unprepared and this was made him uncomfortable. The Chairperson was requested to make a ruling on this issue. Ms T Baker (DA) echoed Mr Basson’s words. Members made an effort and arrived on time, but documents were always late. The meeting had been scheduled for last week, but documents were still late. Mr M Shelembe (IFP) responded to the concern on the late arrival of Members, saying it should be taken into consideration that some Members had two Committees, and both Committees had a heavy workload. The Chairperson went back to the situation of late documents. Ms Mahdiyah Solomon, Committee Secretary, had informed the Chairperson in the morning about the presentation arriving only that morning. Late documents were a continual problem, and the matter had been raised timeously. The Department must give the Committee its presentations a week before the meeting and those responsible for late submissions needed to be held responsible. Mr Basson was right in saying the late documents made things very difficult, especially with the agenda for this meeting. The Department had put the House in an extremely difficult position. 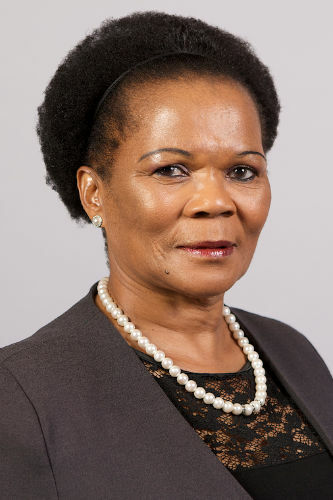 Ms Pam Tshwete, Deputy Minister: Department of Water and Sanitation, said she hated the fact that the Department had to begin the meeting with apologies all the time, because this same matter had been raised last week. This time the Department had to take the blame, because they had had a meeting the previous night which had run late, and this had caused the lateness of the documents. Members were promised that this was the last time documents would arrive late. The next time the documents would be on time. The Chairperson reminded Members that these were the last few days before the recess, and therefore the House’s programme could not be extended. If there were delays, the House would have to postpone or reschedule the programme, because there would be serious problems when it came to planning. Members were asked if they had any further comments on the matter. Mr H Chauke (ANC) asked the Minister why she felt the need to apologise. Documents were meant to be handled by administrators, and the Committee should rather direct the blame to them. Administrators needed to do their job. Mr Basson said he accepted the apology, and echoed Mr Chauke’s words. Officials needed to step up. Mr Shelembe said the House should continue with the agenda of the meeting. The issue of late documents had been continuously raised since 2014. There had been no consistency from the Department and as a result, there needed to be consequence management -- action had to be taken against those who failed to do their jobs. Politicians needed to stop taking the blame for officials because policies were implementable, but officials failed to execute them. Officials seemed to be failing the Committee and the Committee should consider taking steps against this. Mr Dan Mashitisho, Director General: Department of Water and Sanitation, apologised and said the Department would make sure this never happened again. The Chairperson said the points raised by the Deputy Minister would be the Committee’s guide. Last week there had been a discussion about suspending an official. Going forward, if such conduct persisted, the Committee would need to resort to such a measure. The people failing to do their jobs needed to be named, because the Committee could not continue generalising all the time. Politicians were playing their oversight role, and officials were expected to implement the policies. Ms M Khawula (EFF, KwaZulu-Natal) asked the Department to please write reports in IsiZulu so that she could also follow the minutes of the meeting. Mr Shelembe emphasized the importance of translating documents into people’s mother tongues. The Chairperson said the matter would be reviewed and solutions related to best solving translation and interpretation would be looked at. Ms Solomon said there was a lack of capacity to translate reports. Translating would have to be outsourced, and that meant expense. Translating reports would further contribute to the lateness of reports. Ms Khawula asked the Chairperson why her comfort was not a priority in her own country. This was an important request, as there were 11 official languages in South Africa and they must all be recognised. Mr Shelembe said he was not happy about not being catered for. When Members went for oversight, interpreters were not there. This issue was a violation of people’s rights. The Chairperson said that some issues being raised were not relevant for this meeting, as they were internal issues. Ms Petunia Ramunenyiwa, Acting Deputy Director-General: Department of Water and Sanitation (DWS) said the presentation would continue from the one that had been presented last year. It would be divided into three sections, the first of which would look at the historical evolution of irrigation boards. The irrigation boards originated from the Irrigation and Conversation of Water Act in 1912. Its critical function was maintaining water resources. The country was divided into irrigation districts which had a primary purpose of funding poor white farmers. In 1998 the Act had changed, with more focus on transformation. All irrigation boards were to be transformed to new institutions called Water User Associations. Water User Associations were made available to people who were previously disadvantaged. The main challenge today was that irrigation boards continued to exist in their current form. There had been an effort to transform them, so far the Department had transformed 99 irrigation boards and still needed to transform 100. In 1998 there were 278 irrigation boards, and currently 99 have been transformed. She showed a map highlighting the significant schemes, which emphasised the economic growth of local government. Although transformation had been a challenge, there had been much impact on the economic development in the country. Although there had been transformation at management committee level, numbers had been difficult to improve mainly because of access to land. In the past, to own irrigation boards one had to own land. The project faced issues of capacity and skills and the key transformation challenge faced was over the allocation of services. Most of the canals had limited capacity, which made additional demands difficult to serve. There were programmes to help developing farmers, but often there was no collaboration between them. There were various government issues, with a lack of synergy between the DWS and the other departments involved with agriculture, rural development and land affairs at the programme level. To promote employment, redress, poverty eradication, skills development and employment creation. With the Department as regulator, people from all races would be encouraged to work together in a harmonised manner. The intention of the policy entailed making sure water was distributed equally, as the Department had put the transformation agenda as an important goal. The current policy for poor farmers would be reviewed and extended to ten years. Efficient water resource management would have to be ensured, and this would require a number of clearly defined roles. The key issues involved infrastructure and investments. Government could not invest alone in infrastructure, and mining companies had already invested. The Department needed to exploit its opportunities, and there should be more collaboration between commercial farming and new black farmers. The issue of an integrated funding model would be promoted. Ms Ramunenyiwa outlined a transformation agenda roadmap and timelines that had received ministerial approval. The Department was involved in the water allocation reform process, which was critical for redress and development. A total of 1 455 historically disadvantaged individuals (HDIs) had been supported through the Resource Poor Farmers support programme. Licences and water use authorisations had been issued to 439 HDIs in the last four years. The Chairperson asked the Department to investigate the issue of irrigation boards. It was concerning that only 99 irrigation boards had been transformed. Ms Thoko Sigwaza, Chief Director: Institutional Oversight, DWS, said there should be a balance between race, gender and the composition of the youth. The poor should have access to water allocation in their areas and people should be given support instead of grants. Support would ensure that people learnt about farming. An example of progress with transformation was Woolworths selling locally produced food. Mr Chauke said the Department had failed to take Members thoroughly through the whole process of the transformation of irrigation boards. The issue of transformation went deeper than Woolworths selling locally produced food. To talk transformation one must go as early as 1652 and interrogate what exactly had been transformed. There was an ownership of water issue that the Department needed to pin down. Policies had to be put in place to guide the irrigation boards’ struggle. To ensure all of this, the House needed to get into the politics and look at issues such as the farmer who had land but no transport, as well as issues of construction. If the Act was to be amended, what should to be amended needed to be made clear. What exactly was being transformed, and how did irrigation boards feature in that whole process? A timeline of the transformation of irrigation boards had to be provided. Mr Basson said section 92 of the Act said there was six months to transform irrigation boards, and it had now been eight years. The Minister needed to put the process in place. Ms Baker asked if all the requirements listed in section 93 of the Act were in place for all 99 irrigation boards. The role of the CMAs needed to be reviewed. There were nine water management areas and only two established CMAs. There needed to be an update on the process of the establishment of CMAs. Mr D Mnguni (ANC) asked if there was any willingness in the Department to implement the policies of Parliament, because it seems as if it was not willing to do what Parliament said. It had been almost 19 years, and the transformation of irrigation boards was failing. The Department could not brag about the transformation of 99 irrigation boards after 19 years of having the policy in place. It seemed the Department did not know the power it had. It had the power to go to irrigation boards and check the allocation and redistribution of water. Was there general laziness, or did the Department not want to do this? It seemed it did not know its functions. It needed to look at the unfair distribution of water in Mpumalanga. Black farmers were not being given enough water, and resources remained in the hands of those who had them during apartheid. Most of the farms in Mpumalanga had been repossessed. What was the exact relation between irrigation boards and legislation? When the functions were examined, it seems like there would be conflict. The Department needed to quantify the improvements made at the irrigation boards. Ms Khawula said the presentation was nice, but it had not been the truth. Black people were constantly crying that most farms belonged to white people, and when black people took them over, they had no money to sustain them. Black people were also not benefiting when it came to the distribution of water. How could these irrigation boards be of help to them? People in KwaZulu-Natal were ploughing, but they had no water. Fancy English words could not conceal the real issue -- practicality. The Committee had picked up on the Department’s slacking during an oversight visit to Limpopo. Mr Shelembe said officials needed to prove themselves and stop blaming the Minister. The Chairperson asked the Department what they understood by transformation. Mr Chauke asked what such failure of transformation meant. Mr Mashititsho said the Department needed to deal with the legislation -- the Act and the “sunset clauses”. Ms Kim Carls, Deputy Director: Office of the Director-General, DWS, said the Department had amalgamated some irrigation boards to make them more inclusive and viable. In areas where there was no monitoring of water use on farms, there was a problem. The Department was not knowledgeable with regard to implementation. It had been easy to just deal with transformation in the form of changing people. With regard to the situation in Mpumalanga, the Department issued all the water and the 2013 policy had been, “if you don’t use it, you lose it”. A small farm could not be expected to pay the same amount as a big commercial farm. The new policy would enable the Department to solve more problems. There would be teams allocated to assisting small communities with farming. The Chairperson asked who the official dealing with the irrigation system was. Was it a specific person, or a team? Mr Mashititsho said it was the Chief Director. Mr Chauke asked if the Committee could get a coordinated picture of the irrigation board system. Maybe the system had failed because the Department had neglected to understand the issues at the grass root level. Mr Basson said he got a sense that what was on paper was not being transformed into practice. There needed to be a detailed process for all the changes the policy would be going through, because this had been going on for years. Ms Baker said she agreed with Mr Basson. The Chairperson asked what had happened to last week’s proposed legislation. Mr Mashititsho said the Department had presented a roadmap which stated that by November, Parliament would be dealing with one Bill. The legislation needed a lot of consultation. The Chairperson said he had asked a simple question -- what had happened last week and what was happening this week? Ms Ramunenyiwa said last week the Department had been looking at the issue of delegation. The Chairperson acknowledged this, and asked about this week. Mr Mashititsho said that the Department was looking at presenting the economic cluster in June. The Chairperson said this was obviously the Department’s first submission on irrigation boards and it was exposing various issues. The main issue was the political will. Over 300 people had lost their jobs because of a change in their job descriptiona. There had been private sector funding towards infrastructure, and places like Mpumalanga should not be struggling as much. Most importantly, government departments had the power to implement policies. Ms Baker said this proposed legislation was not an amendment, but rather a repeal of the two existing Acts. The validation process and anonymity of the whole exercise was a concern. Had enough staff been allocated to this programme? 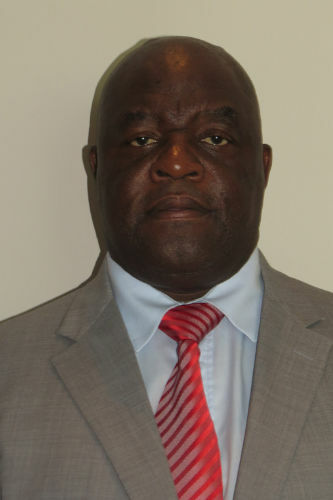 Deputy Minister Tshwete said a number of staff members had been allocated to the programme. All these questions should not be directed only to the Department, as they had taken over from a previous one, and now they had to answer for some of their mistakes. Perhaps the names of those involved in the irrigation programmes should be provided. Ms Ramunenyiwa said the Water User Association irrigation programme was very localised, as it operated at a very local level. The CMAs monitored what was happening at the regional level and in places where CMAs were not established, the Minister remained responsible for the functioning of these programmes. There was capacity at the local level to deal with the programme. Ms Baker said that CMAs played a big role in the whole process. It seemed there was no capacity in the regional offices where the CMAs had been established. Mr Basson said he had just learnt that if one had rights after the 1956 Act, one remained with those rights. Mr Chauke asked what informed the repeal of an Act and enactment of new one. There was no need to implement new legislation when the current problem was simply the failure to implement it. The Chairperson said the discussion on irrigation boards should be closed. With the current legislation, the Department was holding things back. There were ways to speed up the process and end the confusion involving municipalities. Where was the process sitting now, and what was the situation? Ms Baker said the critical point was that the Department did not have capacity. The Committee seemed to have agreed that there was a lack of departmental capacity or administration, but it was rather a lack of political will. Ms Carls agreed, and said the “sunset clause” was about the allocation of licences to an individual. One needed governance at the local level to look at it this issue. The Chairperson said the first part of the meeting had been exhausted. It was now time to look at the Water Plan. Ms Deborah Mochotlhi, Deputy Director-General: Planning, DWS, said there were challenges in the water sector. The main challenge was “silo planning,” and this was the reason why the Department was developing a master plan. There were delays in infrastructure development and problems with communities who were near dams but had no access to resources. After building dams, it took a long time for a municipality to intervene. Mr Basson interrupted Ms Mochotlhi, and informed the Committee that this document had been presented before. This meeting’s request was a draft of plans to implement policies, a process on how to get to the finish line. Members could not listen to something to which they had listened before. Mr Chauke echoed Mr Basson’s words. The request to the Department had been simple. Members had heard this information before at the workshop they had held. The Chairperson asked the Department to report on the status, content and roadmap of the water and sanitation master plan. Mr Basson asked the Department if they had the report or not? Mr Chauke said the Committee was expecting a presentation. If the Department was not ready, the meeting could be rescheduled and the Department would be given more time. Ms Mochotlhi said there was a document that the Department submitted, and those were some of the parts that formed part of the presentation. The Department had had success with some programmes and would like to share this with the House. Ms Tshwete said the Members had asked a simple question: was the document finalised or not? Before one finalised a document, it was first in the form of a draft. The Department should have written a letter informing the Committee how far they were. The finalised document was not ready now. The Department should have said they still had the roadmap to do. For now, there was no finalised document. The Department should have written a letter, because this was something that was foreseen. Mr Basson asked if a draft document had been created, because then the House could look at that. It was unfortunate that a new Water Act would be approved without a draft. He expressed his unhappiness with how matters were unfolding, and promised to take the matter further. Mr Mashititsho said there was a framework that guided the critical areas that the Department needed to submit for the water and sanitation master plan, and the DWS could present that for now. Mr Chauke said he was concerned that some expenditure was due to the Department’s travelling expenses. Would the legislative process inform the water plan? Why did the Department not deal with the legislation and then come back to the plan? Mr Basson said page 28 of the report mentioned an initial draft, and the Department needed to send that draft to Members. Ms Mochotlhi said the draft would be sent by tomorrow. Mr Mashititsho said legislation was at the centre of the structure. Ideally, the Bill should be passed before the finalisation of the master plan. Mr Chauke said this process required further engagement. The Department needed to start with the legislation and pass the Bill first, before embarking on the master plan. Once the legislation arrived in Parliament, it was not a Bill of government but rather the Bill of Parliament. He appealed to the Department to take this into consideration before possibly engaging in a futile exercise. The Chairperson said the draft should be sent tomorrow. Legislation was needed to enable the Department to implement the plan. The DWS had started a process on the water plan. There was a sense that the House had until March to finalise the legislation and water plan. To get a better sense of the policies, the draft should be interrogated. Mr Chauke said this was very important point. The Department needed to avoid spending so much time on the issue of the water plan while the legislation was not finalised. Ms Tshwete thanked the Members for all the advice they had given. She asked if Members had received the Construction Unit document. The Chairperson assured the Deputy Minister that the Committee was there to assist the Department. There was no concern for party politics, but rather on serving and improving the lives of the people for the better. The Department was being “pushed out of love,” so that they could achieve what they have set out to achieve. The House was not made up of friends, but rather people who had the same goal. Parliament had a duty to hold the executive to account.